“I love CrossFit. Getting stronger, faster and fitter really fires me up. However, I wasn’t always that way. I don’t come from an athletic background and truthfully the only reason I would dabble in the occasional gym visit was to try and look good (i.e. skinnier) with no regard towards being healthier. That all changed with CrossFit. 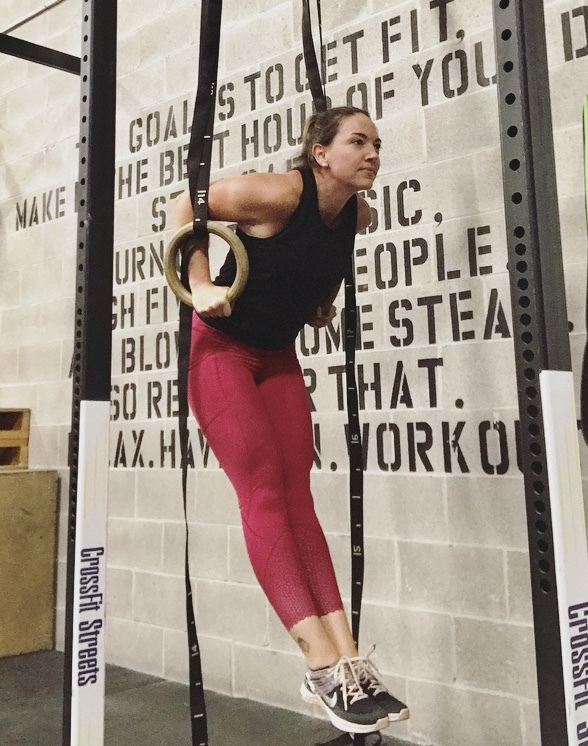 The first time I picked up a barbell (admittedly with hesitation), I felt empowered. I felt determined, strong and capable. It’s been 5 years since and those feelings have transferred into all areas of my life. CrossFit and the incredible community have taught me to work hard, be positive, relentlessly pursue your goals and try to focus on what your body can do rather than how it looks. Strong is beautiful.